On Saturday, 4 December 2010, on the Vancouver Cooperative Radio program Redeye, Jane Williams interviewed, first, Robyn Duncan, Purcell Program Manager, Wildsight, and, second, Kathryn Teneese, Chair, Ktunaxa Nation Council. Topics discussed included the proposed Jumbo Glacier Resort, its potentially adverse impacts on grizzly bears, the Ktunaxa sacred site known as Qat’muk, and the Qat’muk Declaration. The Supreme Court of Canada’s recent decisions, first, in Rio Tinto Alcan Inc. v. Carrier Sekani Tribal Council and, second, in Beckman v. Little Salmon/Carmacks First Nation, serve to mark how far the Canadian judiciary’s thinking on the Crown’s duty to consult has advanced since – and since before - the Court’s watershed decision in Haida Nation in 2004. But now as lawyers, political leaders, pundits, and others begin turning their minds to what these most recent decisions mean, some larger perspective and, thus, some proper sense of proportion may be gained by pausing to acquaint oneself with and reflect on the duty’s legal history. No one in 1952 could have predicted that Richard Nixon, then former member of the House Un-American Activities Committee and Dwight D. Eisenhower’s Vice Presidential running mate, would in 1972 become the first American president to visit China, journeying there in pursuit of a new relationship with the communist country. Likewise, no one in 1998 could have predicted that Gordon Campbell, then leader of the opposition and plaintiff in a lawsuit challenging the constitutionality of the Nisga’a Treaty, would in 2005, as Premier of British Columbia, commit the Province to a New Relationship with First Nations peoples. Cuando los europeos llegaron por primera vez a las orillas de Norteamérica existía ya un gran número de pueblos indígenas que se gobernaban de acuerdo con sus propias instituciones y leyes. Cuando Gran Bretaña afirmó su soberanía sobre lo que más tarde se convertiría en Canadá, permitió que estos pueblos siguiesen en gran medida gobernándose como lo habían hecho sus ancestros. Sin embargo, el moderno Estado canadiense ha tendido a imponer sus instituciones y leyes sobre los pueblos indígenas ignorando nosólo sus instituciones sino la propia tradición previa de pluralismo político y jurídico. La promulgación del Acta Constitucional de 1982 —y particularmente su Sección 35, que elevó los derechos de los pueblos indígenas a un estatus constitucional— prometía revertir los efectos dañinos del colonialismo canadiense. Tres décadas después, Canadá sigue sin conceder un espacio constitucional significativo a los pueblos indígenas. Este artículo explica por qué el pluralismo jurídico y político sigue siendo un lejano objetivo para estos pueblos. Para ello recurre a la jurisprudencia de la Corte Suprema de Canadá sobre derechos indígenas. La tesis principal del artículo es que la Corte ha mantenido un enfoque discriminatorio sobre la aboriginalidad y la diferencia cultural de los pueblos indígenas, excluyendo casi por completo su carácter de pueblos y los elementos constitutivos comunes con los pueblos no indígenas. To read the article online, see here. For an English language version, see the previous post: "Creating Constitutional Space for Indigenous Peoples: Canada's Ambivalence." When Europeans first arrived on North America’s shores, there was present a great variety of indigenous peoples already governing themselves and their territories according to their own political institutions and laws. As Britain began to assert sovereignty over what later became Canada, as elsewhere, it was content – and indeed was committed by Imperial policy and law - to leave indigenous peoples to govern themselves and their territories largely as their forefathers had. 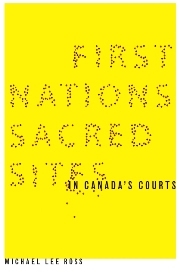 But as the modern Canadian state took shape, it increasingly superimposed its political institutions and laws on indigenous peoples and their territories in disregard not only of indigenous peoples, territories, political institutions, and laws but also of the earlier tradition of political and legal pluralism. Canada’s enactment of the Constitution Act, 1982 – and particularly Section 35 which raised the aboriginal rights of aboriginal peoples to constitutional status - promised a reversal of the damaging effects of Canada’s colonialism. Despite its almost three decade old promise, Canada has not yielded significant constitutional space to indigenous peoples, political institutions and laws. In this paper, I explain why meaningful indigenous political and legal pluralism remains a distant dream. I do so by way of analysis of the Supreme Court of Canada’s aboriginal rights jurisprudence. My chief thesis is that indigenous political and legal pluralism remains a distant dream because of the Supreme Court of Canada’s discriminatory focus on indigenous people’s aboriginality and cultural difference to the near exclusion of their peoplehood and the constitutive commonalities they share with non-indigenous peoples. Here is the English language version of the article: Creating Constitutional Space for Indigenous Peoples: Canada's Ambivalence.